In a complaint to CCI (Competition Commission of India), BSNL had alleged that Bharti Airtel, Vodafone and Idea had acted as a cartel while bidding for 3G spectrum auctions held in 2010. 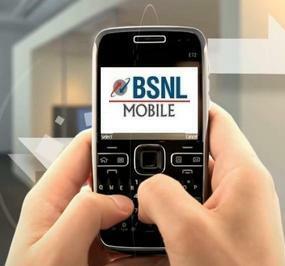 BSNL had accused the trio for selective bidding in different circles and later entering into illegal roaming arrangements to provide PAN India coverage. CCI in its order said that there is no prima facie case to investigate the matter. CCI observed that 33 licenses were issued in place of 22 circles and it was natural for companies to bid in profitable markets. Apart from this BSNL did not provide any other inputs to prove that Airtel, Vodafone and Idea had formed a cartel, CCI said. This ruling would have brought in a sigh of relief amongst Indian telecom majors, particularly when auctions are scheduled to be held. What do you think at this move by CCI as a reader? Do you think there was a CARTEL between the trio? Do let us know via comments. Even today operators like idea and vodafone charging for roaming between mumbai maharashtra very bad looting from people who live in vasai virar and ulhasnagar clusters.Every operator in mumbai and maharastra should treat the both circle as one with uniform charges like airtel does , also operators should take care when any mobile network moves like for eg from mumbai to mahaharatsra it should not drop the call…niether the user need to manaullly select the network its very frustating. Airtel now offering 3G speed on 2G data packs, Fierce battle ahead ?